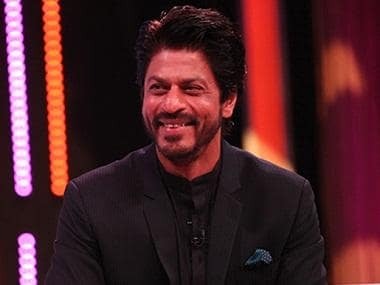 Bollywood's two biggest superstars Shah Rukh Khan and Salman Khan attended Congress leader Baba Siddique's Iftar party here on Saturday evening, 24 June. Shah Rukh and Salman at the party. Images via Twitter. Like every year, everyone's eyes were on the party this time as well, especially due to Shah Rukh and Salman. 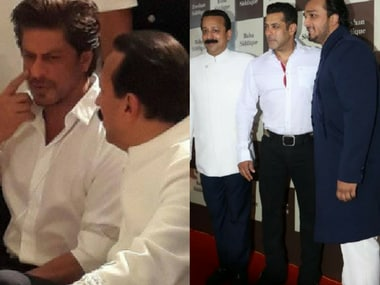 Former Congress MLA Baba Siddique's Iftar party is considered as one of the most exciting events as it provided a platform to then rivals Salman and Shah Rukh, in 2013, to forget their enmity and embrace each other. 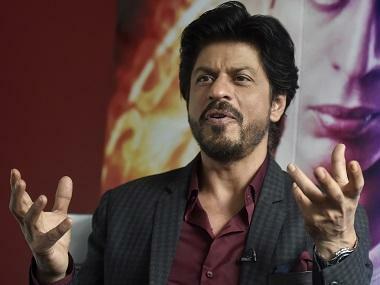 For the past four years, his Iftar has become the talk of the town as it acted as a stage for Salman and Shah Rukh to forget their enmity and embrace each other. After a long time, the two superstars have also appeared in a movie together in Tubelight. A glimpse of this was also seen in the party when Shah Rukh and Salman posed together in front of the camera. Also, Tubelight director Kabir Khan and Salman's co-star Matin Tengu attended the party. Baba Siddique may be surrounded by controversy but there was a dazzle in his party. The Enforcement Directorate (ED) on May 31 conducted raids at six locations, including the premises of Siddique, in connection with a money laundering case. Like every year, Siddique's Iftar party was attended by Bollywood stars and renowned dignitaries from different fields.Celebrities like Daboo Ratnani, Nidhi Agarwal, Abbas- Mustan, Sushil Kumar Shinde, Angad Bedi, Swapnil Joshi, Sachin Pilgaonkar, Ileana d'cruz, Ramesh Taurani, Huma Qureshi, Himesh Reshammiya, Krushna Abhishek, Sajid Nadiadwala, Sonu Sood, Manish Paul, Aneez Bazmi, Bhushan Kumar, Rajkumar Rao, Manish Malhotra, Preity Zinta also attended this party. Salman's close friends and family members like Salim Khan, Lulia Ventur, Alvira Khan, Sohail Khan, Arpita Khan with Ahil Agnihotri, Atul Agnihotri were also seen in the party.